It’s supposed to be the most wonderful time of the year. But, sometimes, I have to confess that the encroaching holidays can feel stressful and exhausting. Especially when I had school-aged children, it seemed that everywhere I turned, there would be a teacher, colleague, babysitter and family member who needed a gift. Concerts, dinner parties, and other events only added to the stress. With age (and hopefully more wisdom), I’ve learned to plan ahead, not sweat the small stuff, and focus on enjoying the holiday season as a time for friends and family. And what better way to show my love and appreciation than by giving healthy gifts that are good for them? 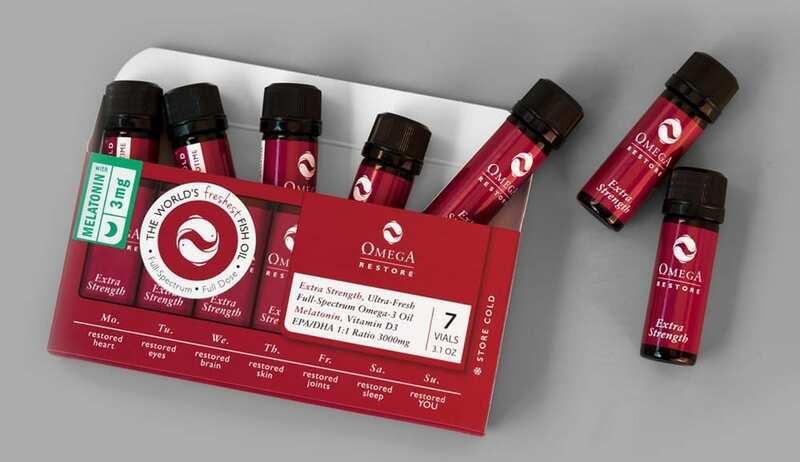 Wholesome, easy-to-use, and beneficial — these values influence the creation of every Omega3 Innovations product, making them excellent presents for loved ones. 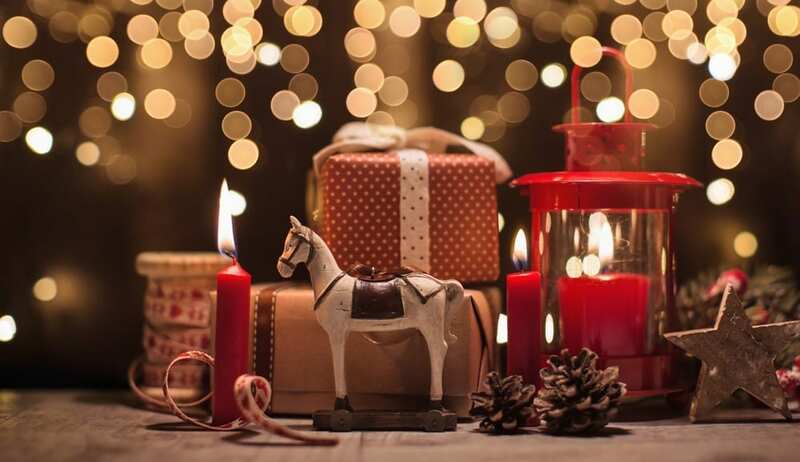 For those of you who already enjoy our wide range of products (but haven’t given them as gifts before), consider putting some of these treats on your gift ideas list! It’s tough to find a great present for someone who watches every single thing that goes into their mouth. Whether they’re a student-athlete who doesn’t have access to a kitchen, someone training for a triathlon, or a gym buff who’s trying to beat their personal records, making sure that your loved ones get ample nutrition is key for their mind, body, and soul. Tuck a few individually-sealed Omega Cookies into a healthy gift basket, or continue to order a regular supply of them throughout the year for a grab-and-go boost of energy. 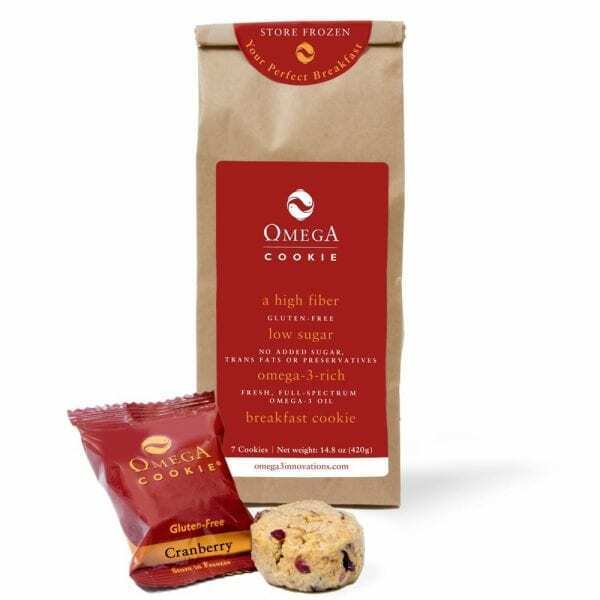 Each Omega Cookie® contains 2000 mg of EPA/DHA, 800 IUs of vitamin D3, and five grams of fiber from gluten-free whole oats (that’s about as much fiber as a bowl of oatmeal). The full dose of omega-3 fish oil found in each Omega Cookie is helpful for those interested in improving their recovery time, relieving inflammation, and maintaining good joint health. Coming in at under $3 apiece, the Omega Cookie makes an affordable daily meal or workout snack for those who take their health seriously. Senior citizens have to be some of the trickiest people to shop for, as they’ve been collecting things for a lifetime. Many are even keen on giving away their possessions, rather than accumulating new goods. Out of holiday shopping desperation, many people bring sweets as a present. But if a family struggles with diabetes, these are strictly off limits. A few bags of Omega Heaven® chocolate-covered cookies, containing gluten-free, steel-cut oats, non-alkalized dark chocolate, and fresh, full-spectrum omega-3 fish oil. In contrast to regular holiday sweets, Omega Heaven satisfies sweet tooths and are safe treats, even for diabetics. The gluten-free steel cut oats in the Omega Heaven provide four grams of soluble oat fiber, which help to prevent blood sugar levels from spiking. In addition, the antioxidant-rich dark chocolate coating helps stimulate blood flow in the brain. 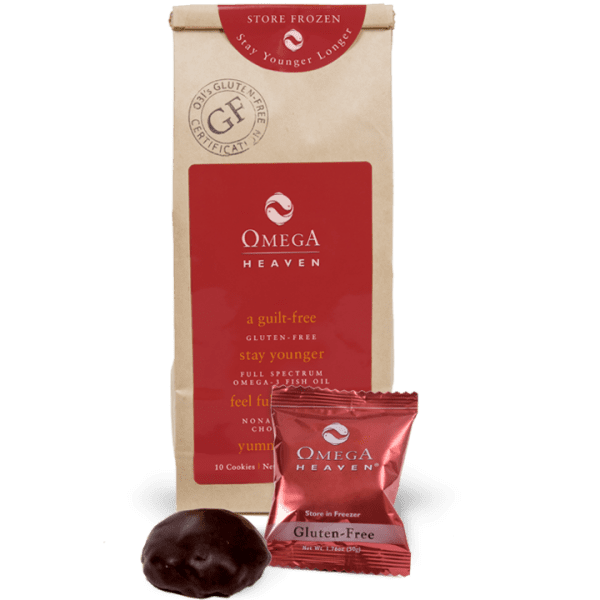 Since each Omega Heaven contains 1000 mg of EPA/DHA sourced from fresh omega-3 fish oil, the chocolate-covered cookie can also replace up to three of your grandparents’ capsules/pills. 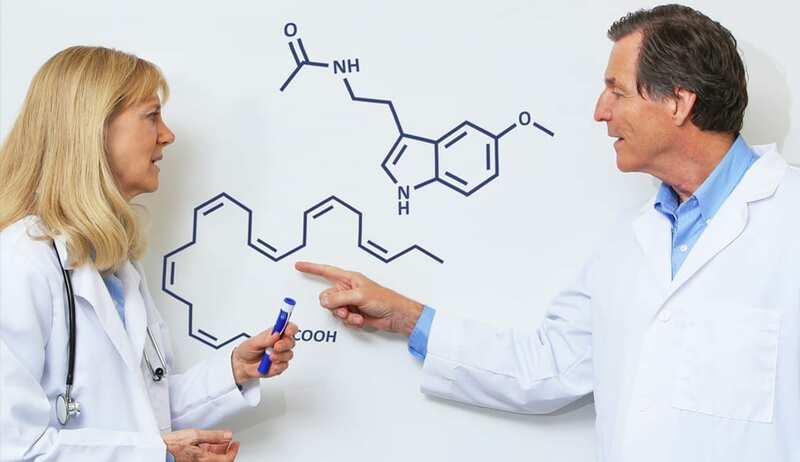 What’s more, if Alzheimer’s runs in your family, promising research shows that regular consumption of high-quality, non-oxidized omega-3s may help stave off symptoms before damage starts to occur. Bottles of wine, bouquets of flowers, and boxes of chocolates are great presents for the holiday party host and hostess. Once in a while, however, it feels good to break the mold and get creative with your party presents. 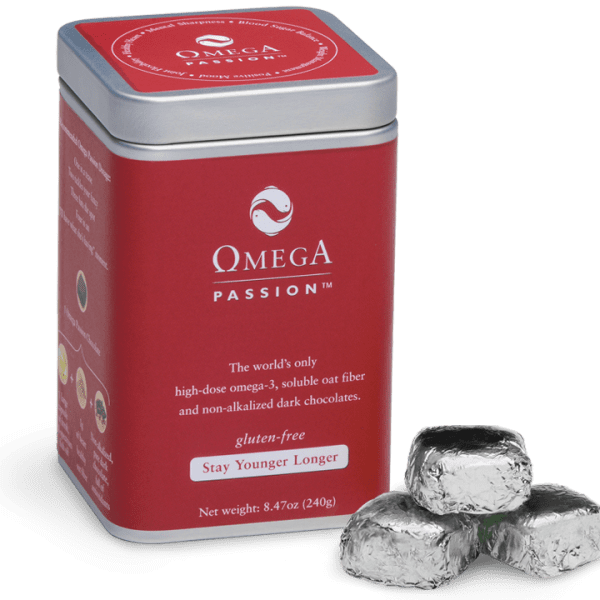 Each Omega Passion® chocolate truffle contains 300 mg of EPA/DHA, gluten-free oat fiber, and non-alkalized dark chocolate. The reusable tin contains 20 delicious truffles that clock in at only 49 calories each (without the holiday guilt). These chocolates look and taste like a traditional gift. But when your host or hostess look closer at the ingredients list, they will appreciate your good taste. The non-alkalized coating and ganache are made with 60% Italian dark chocolate, and is gently processed to provide a higher dose of antioxidants than regular dark chocolate. Oat fiber quells hunger cravings, and each truffle provides as much omega-3 as one regular fish oil capsule. These are a fun, delicious alternative for friends and family interested in upping their omega-3 intake. Though your shopping list might be long, don’t forget about taking care of yourself too. Surveys show that most people are stressed around the holidays, and with around 30% of Americans also suffering from sleep disorders, the added stress can lead to feeling depressed and gaining weight. Support your health by beginning a regular bedtime regimen with Omega Restore™, the perfect combination of long-chain omega 3s and natural melatonin. 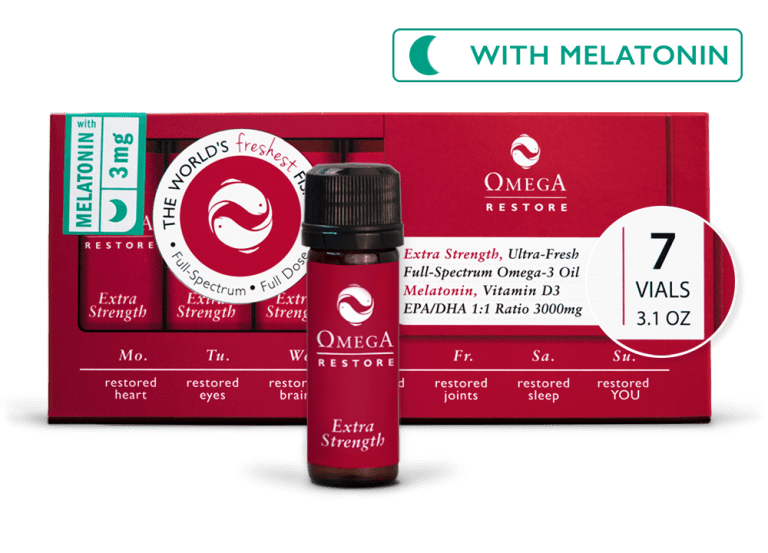 Omega Restore vials harness the power of 3000 mg EPA/DHA, 1400 IUs vitamin D3, and your choice of the melatonin dosage (2, 3, 5, or 9 mg). When taken before bed each night, the combination can help you destress your body and feel better each morning! Happy Holidays from Omega3 Innovations! 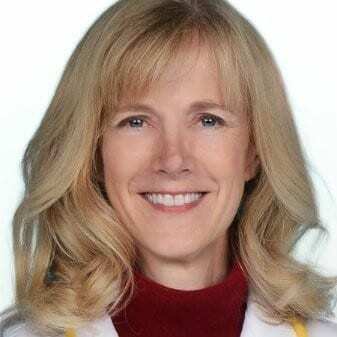 Chalmers who wrote the book, Mommy What is Celiac Disease?, (you can read my review here) has designed a gluten free blog with kids in mind! It is great! Hi Melek! Unfortunately not the same Chalmers, but sounds like a great book and blog. We’ll have to check it out!